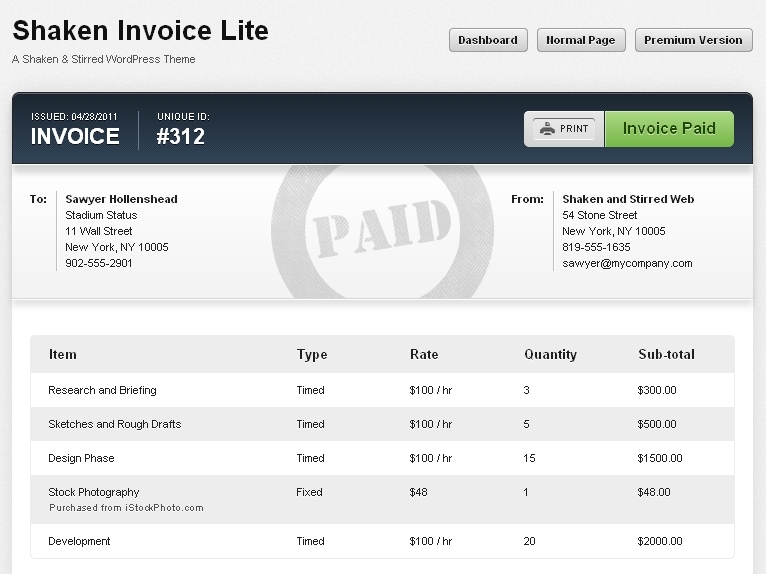 Shaken Invoice Lite is the great Wordpress theme for accept online payment. Do you need to accept payments online for invoices or send quotes to potential clients? Are you tired of paying a monthly fee to do this online through 3rd party services, or worse yet, sending the invoices as an attachment in an e-mail? 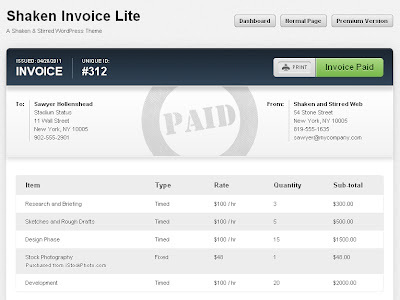 Shaken Invoice was created to address those issues plus others. If you like these post, drop your feedback in the comment box. Thanks! Is the Above given Invoice Template made on Adobe or the Excel ?